Under the MBTA plan, CharlieCards would become extinct. The Massachusetts Bay Transportation Authority is nearing the next stop on its modernization journey. On Monday, the agency will ask its board to approve a $723 million contract for a new fare collection system that would change how nearly every rider pays for trips and that should speed up bus and trolley rides. “It is the single most important thing in terms of how our ridership is going to be interacting with the entire MBTA ecosystem,” said Luis Ramirez, the T’s general manager. 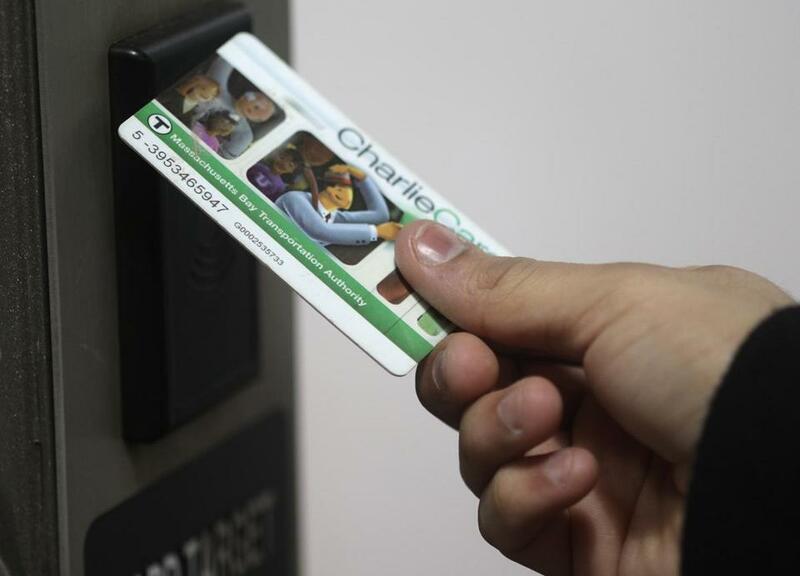 The fare plan, which the MBTA hopes to implement by 2020, would replace the existing CharlieCard system, although the T plans to keep the “Charlie” brand. The all-electronic approach would also bar passengers from paying with cash on-board buses or trolleys, requiring the T to develop new safeguards to make sure passengers without credit cards or smartphones are able to catch their rides. The clearest change for passengers would be the ability to pay by tapping a credit card or smartphone to a fare reader, as well as the creation of a next-generation CharlieCard, all of which can be linked to a single online account to store fare value or passes. The T would also install fare readers at the back entries of buses and Green Line trolleys, allowing passengers to board through those doors as well as the front. The agency predicts all-door boarding and banning cash payments would reduce the length of bus rides by as much as 10 percent. And on the commuter rail, passengers would tap into the system before they board trains and tap out when they reach their destination, so the T can calculate the distance-based fares. The MBTA board is also set to vote Monday on the $1.08 billion contract for the Green Line extension. On Friday, the agency selected GLX Constructors, a joint venture of several engineering and construction firms, as the winning bidder for the project, which had nearly collapsed in 2015 due to spiking costs. The two initiatives are among the biggest undertaken by the Baker administration in its quest to improve the transit system. The governor vowed to fix the T’s performance and finances following the disastrous winter of 2015. The T rattles off a series of other potential benefits from the new fare system, such as more precise data analysis and the ability to set future fares based on distance or time of day. The technology would also let the T work with outside entities, such as Boston’s Hubway bicycle network, to build a unified payment system. Yet some transit advocates warn that the agency will need to be deeply sensitive to the 7 percent of bus and Green Line passengers who today pay with cash onboard. Some of these passengers do not have bank accounts and rely on cash payments. Stacy Thompson, director of the pro-transit group Livable Streets Alliance, said the agency should begin alerting these cash-dependent passengers to the pending changes immediately. The MBTA says it would be adding far more vending machines to the system where passengers will still be able to load cards with cash, including at key streetside bus stops, and working with more retail companies to let passengers add value to their cards at stores. ‘It is the single most important thing in terms of how our ridership is going to be interacting with’ the T.
Nearly two years in planning, the fare collection plan borrows heavily from the one in London. The winning bidder for the T project is a joint venture led by the company that installed London’s technology, California-based Cubic Corp. In addition to its work in London, Cubic also recently won a $573 million job to install a similar system on the New York City transit system — a price tag $150 million lower than the T contract. But the T says it would get far more in return than New York, because Cubic is not only installing the system but also taking on operating responsibilities over a 10-year term, such as maintenance and cash collection from vending machines. Cubic “will be constantly on the hook for performance of the system,” said David Block-Schachter, the T executive overseeing the project. “We can’t have a system that looks amazing when it goes in. . . in early 2020 and then by 2024 isn’t really functioning,” he said. Cubic is working with infrastructure investment firm John Laing, and the consortium would pay up front to install new vending machines and fare gates. It will only be paid once the system is fully installed, and the company can be hit with penalties of up to 50 percent of monthly payments based on performance. The cost of the deal would be about evenly split between the installation and the operating costs, and the T said the operating expenses over the next decade would be cheaper under Cubic than is projected under the current system. The 36 MBTA union electricians who service the fare system would no longer be needed once Cubic takes over. But Ramirez said none would be laid off and could take on new jobs working on improving the T’s signals and other electric work that would improve the system. The workers’ union did not respond to a request for comment. The T plans to move rapidly with the project, running pilots in late 2019 with the goal of having the new system installed by May 2020, where it will temporarily run alongside the existing system. Within another year, the old system would be phased out. But with high costs and an aggressive timeline, “it will be critical for the T to show early progress” with the installation, he said.